How does quantitative easing effect financial markets? The Bank of England has previously used QE to stimulate the economy. The Fed chose not to increase interest rates last week, but the European Central Bank may be considering monetary stimulus in December. But what does this mean and how does it affect markets? "One of the aims of QE is to stimulate inflation rates to keep them on target, which is currently at 2% in the UK." The US Federal Reserve held off announcing an interest rate rise last week, while the Bank of England (BoE) also chose to continue its current monetary policy approach for the time being. So, it appears these two major central banks favour maintaining the status quo. However, many investors and spread bettors will now be turning their attention to the European Central Bank (ECB), with president Mario Draghi set to deliver two important economic speeches later this week. At 3:05pm today, he will testify before the European Parliament's Committee on Economic and Monetary Affairs, and then on Wednesday he is due to speak about developments in the euro area at a meeting in Berlin. What onlookers will be watching out for is any indication that the ECB aims to introduce new monetary stimulus in its December meeting. So what does this actually mean? We've covered what interest rates are and how they affect the economy, but interest rates aren't the only weapon in central bank armouries. When the economy is in the doldrums, central banks often consider quantitative easing (QE) to provide relief. QE may also be called asset purchasing or - more colloquially and somewhat erroneously - money printing, but it amounts to the same thing. Essentially, the central bank creates more money (electronically rather than printing new notes), which it uses to buy certain types of financial assets. The institution usually buys gilts from organisations, as well as some corporate bonds. Why? Well, as the bank buys an ever-growing amount of these securities, their price increases and the yield drops. Gilts and bonds are considered low-risk investments, so lowering their returns even further makes them an unattractive prospect for most investors. The idea is that people will begin moving their money away from these assets into higher-yield areas such as stocks. Eventually, prices for these investments increase, leading to borrowing costs going down for businesses, enabling them to invest and spend more money in growing their organisation. Meanwhile, the money that the bank pays to businesses to buy gilts and corporate bonds is now available to financial institutions to lend - again reducing borrowing rates. 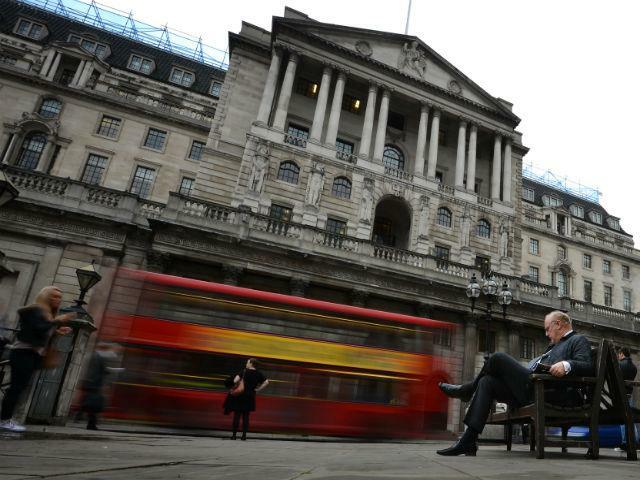 How does QE affect everyday consumers? One of the aims of QE is to stimulate inflation rates to keep them on target, which is currently at 2% in the UK. Monetary easing should therefore make the average consumer's shopping basket a little more expensive. As mentioned previously, retail investors will also find their low-risk assets are providing less returns, which may encourage them to move towards stock markets or other investment vehicles that offer more bang for their buck. These outcomes are hypothetical, however. In real life, it's not always that simple, and previous QE efforts have largely been stifled because financial institutions have been accused of holding on to the money they receive on asset purchases, rather than lending it out to business and consumers. The stimulative impact on the economy is therefore more subdued, and the additional money can take longer to trickle through to the average man and woman on the street. Despite this, central banks across the world have favoured QE and lower interest rates to combat economic stagnation. The question remains whether the ECB will decide to take this approach in December? If it does, Draghi's speeches this week are likely to drop hints in order to ready the markets.